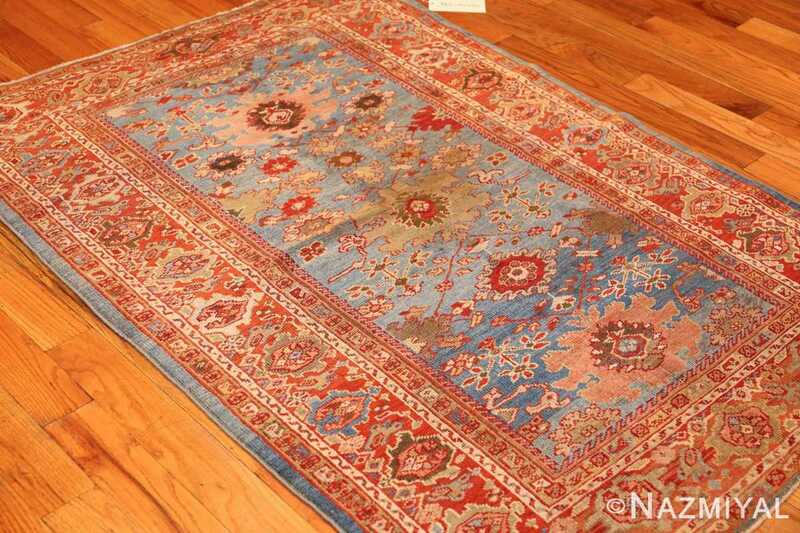 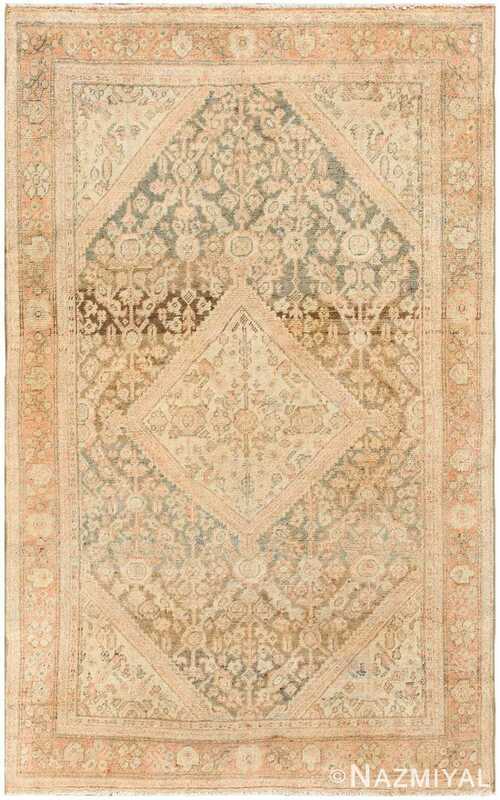 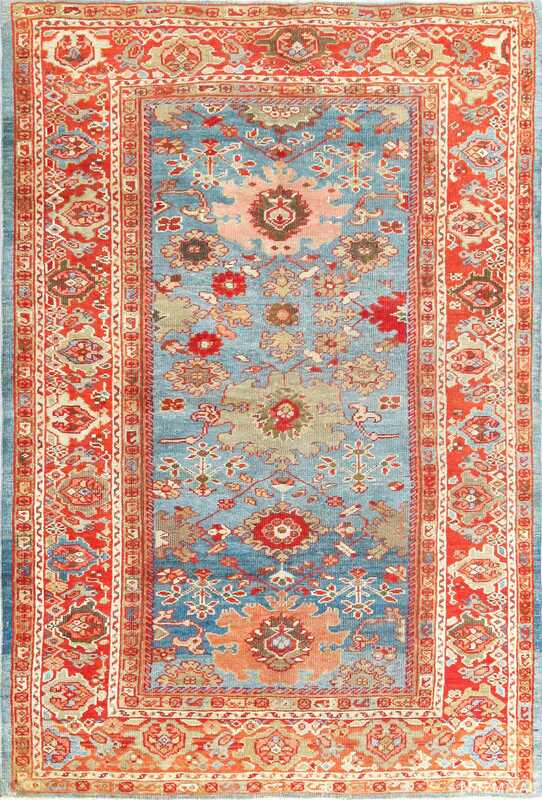 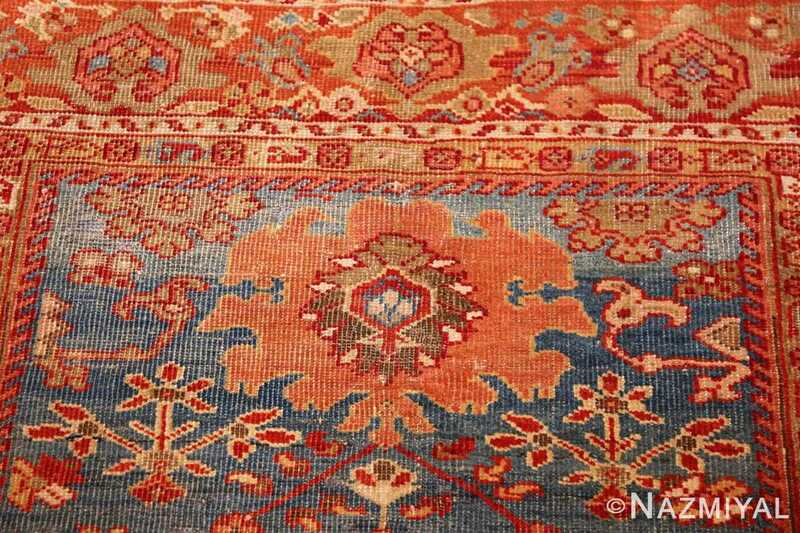 Beautiful Antique Blue Background Persian Sultanabad Rug 49209 Country of Origin / Rug Type: Persian Rug, Circa Date: 1880 – A vibrant interplay between red and light blue spreads over this antique Persian rug. 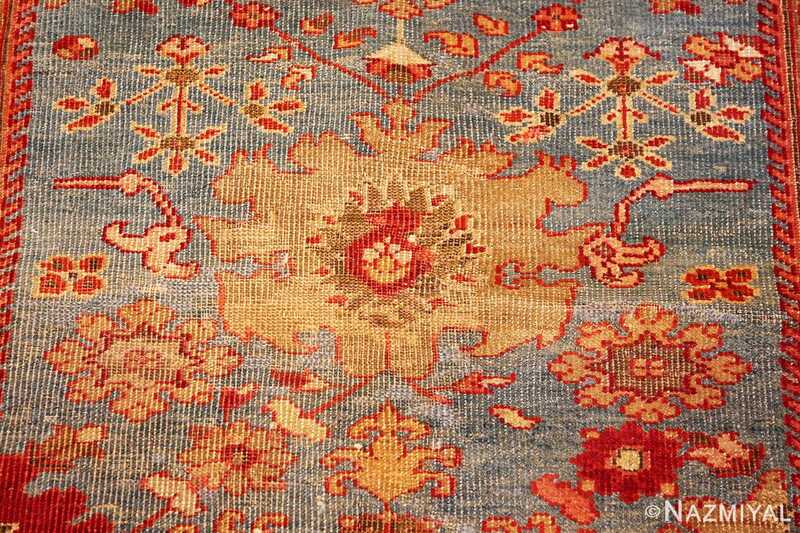 The cool blue central field is emblazoned with a stylized floral pattern, symmetrical and balanced. Red and white line work combined bring a brightness to this Persian Sultanabad rug, allowing small details to carry weight. 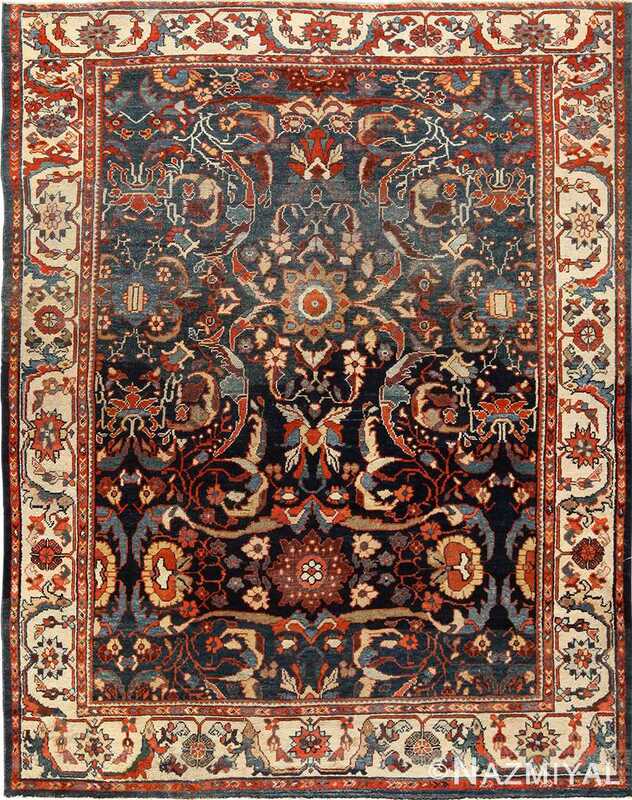 The three largest flowers, aligned through the middle, are rendered in three soft tones and surrounded by multicolored blooms of many shapes and sizes. 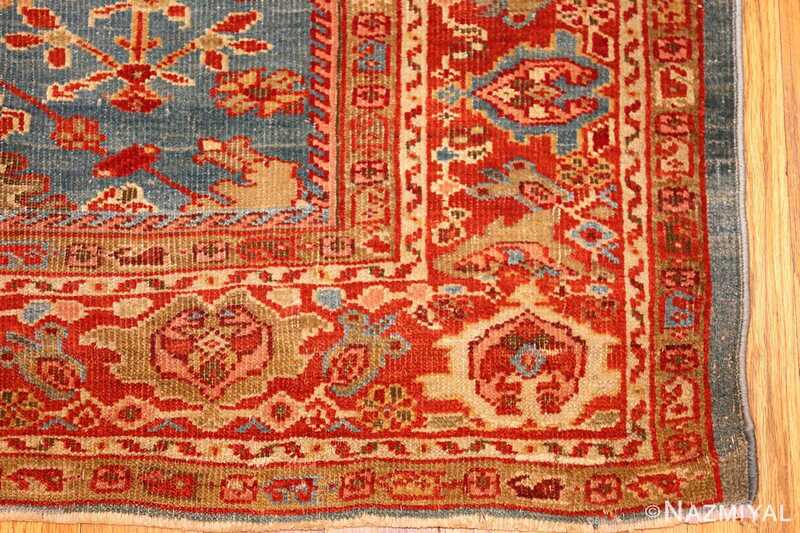 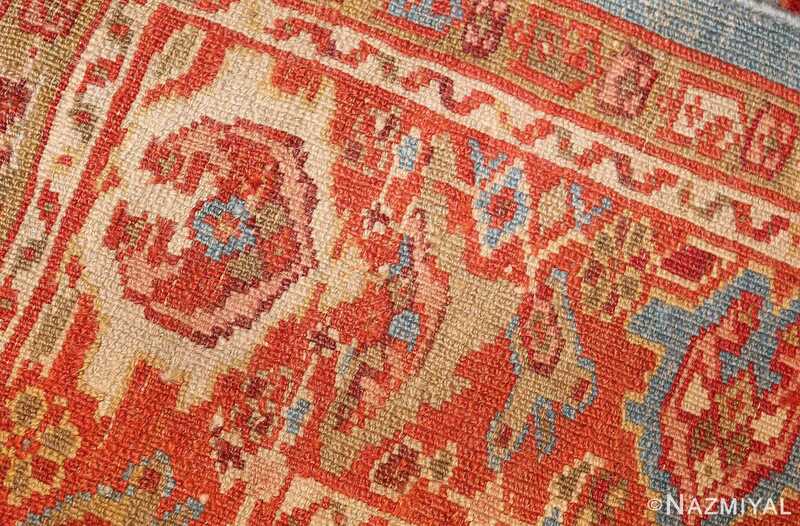 A series of red and white borders, illustrated with curling or floral decorations, encloses the central area of this antique carpet. The widest border trails an alternating series of blossoms nestled in colorful auras. 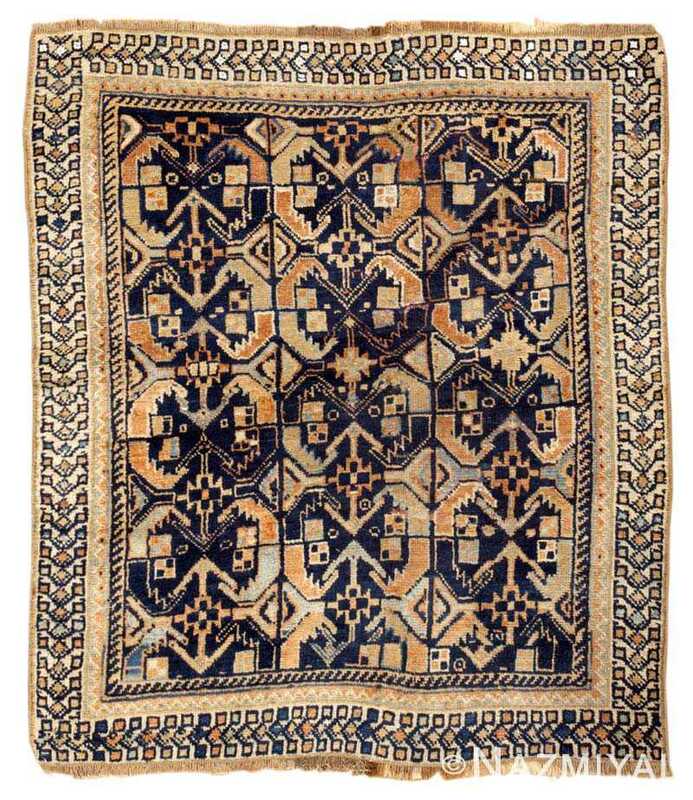 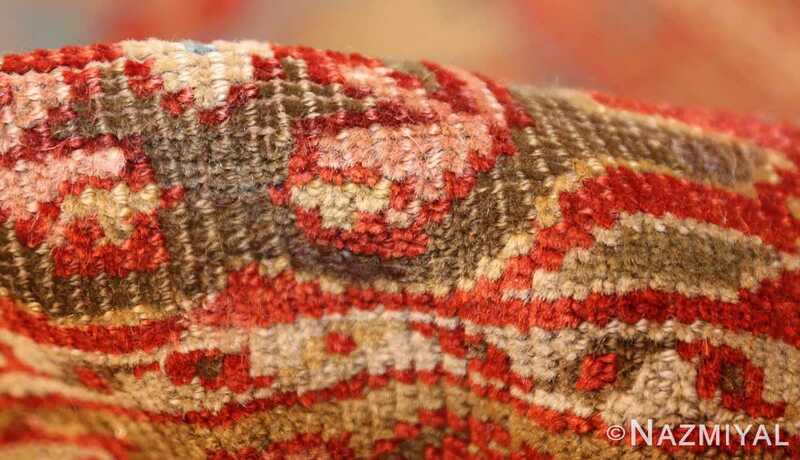 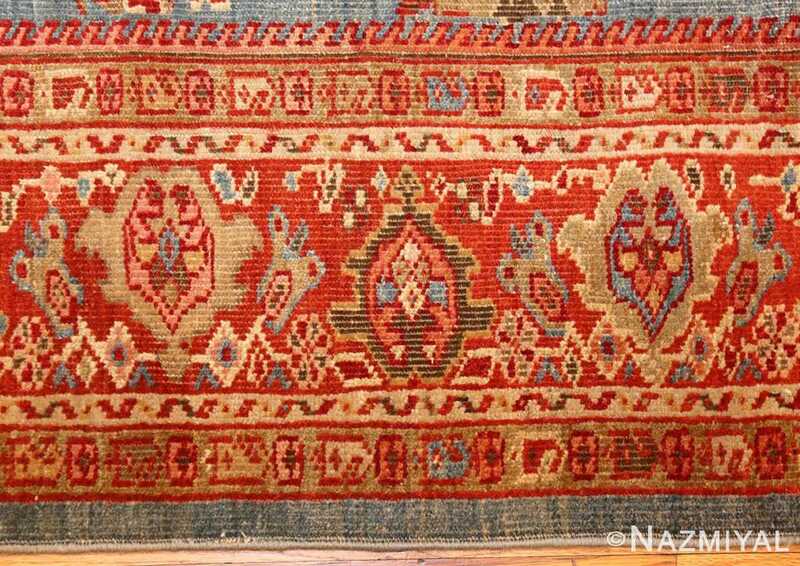 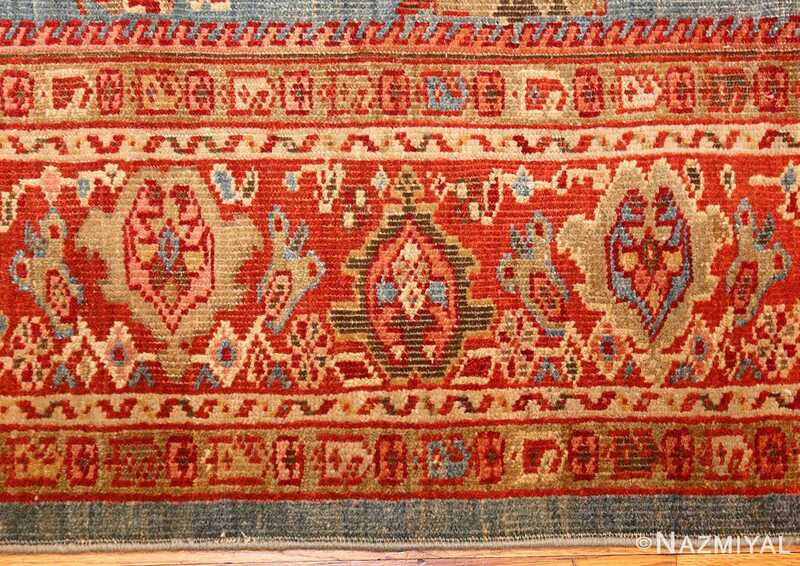 Woven in Sultanabad, this unique tribal carpet combines unusual colors and traditional Turkmen patterns that are seemingly immune to the curvilinear style that dominated Sultanabad.